Restore clear vision with a Las Vegas area eye care specialist. A person with hyperopia, or farsightedness, can typically see things far away but not up close. However, in some cases, hyperopia can cause vision problems at any distance. It is easily corrected with contact lenses, prescription eyeglasses, or surgery. Find an eye care doctor specially trained in correcting problems with focus. Find an office near you in the Las Vegas area. Hyperopia, commonly referred to as farsightedness, is a condition that typically allows clear vision in close range but not at a distance. The condition affects about 5 to 10 percent of Americans. The shape and size of your eyeball distorts images. Corrective lenses or surgery can fix this problem. People may actually experience this condition in ways other than blurry vision. Difficulty concentrating on near objects, eyes feeling strained or fatigued, or close work causing headaches are a few indication of hyperopia. 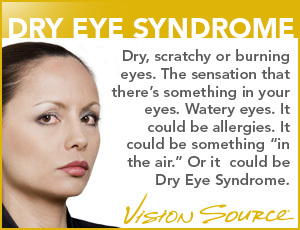 Only a comprehensive eye exam can detect this vision problem. Simple vision screenings, like the ones commonly done in school, can not detect hyperopia. Copyright © 2019 Vision Source Las Vegas. All rights reserved.